@DrSin, Thank you fair sir. @DrSin, EVERY DAY. EVERY DAY YOU CAST THAT SPELL ON MY CASTLE! WHY !?!? @ThePandaPool , I thought it was empty !!! @ThePandaPool , "what's a megumin?" 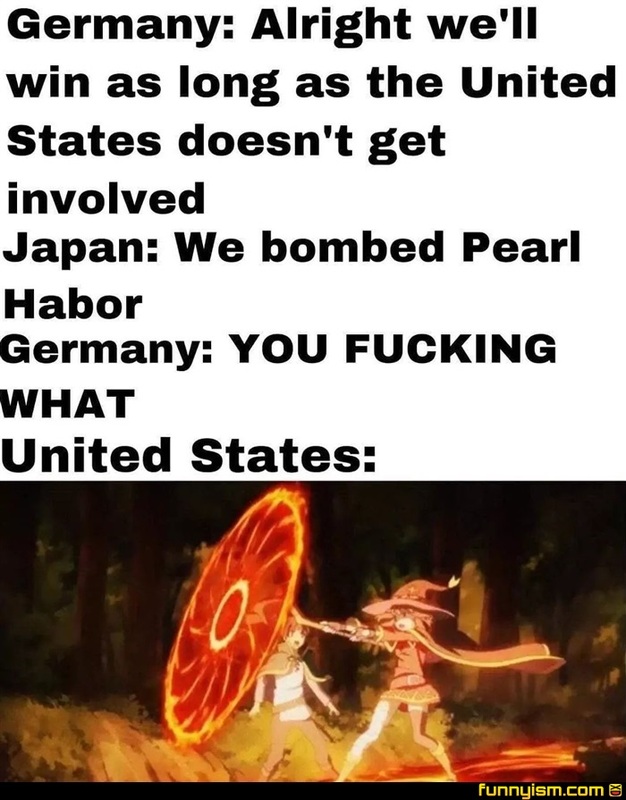 Megumin is actually the perfect anime mascot for the US. She's obsessed with explosions, has an inflated sense of self importance, is incredibly condescending to those she considers enemies, and is basically useless half the time. @Pacer , Yo, the fact the kylo used the halberd to impale a dude. Well done. E X P L O S I O N ! !